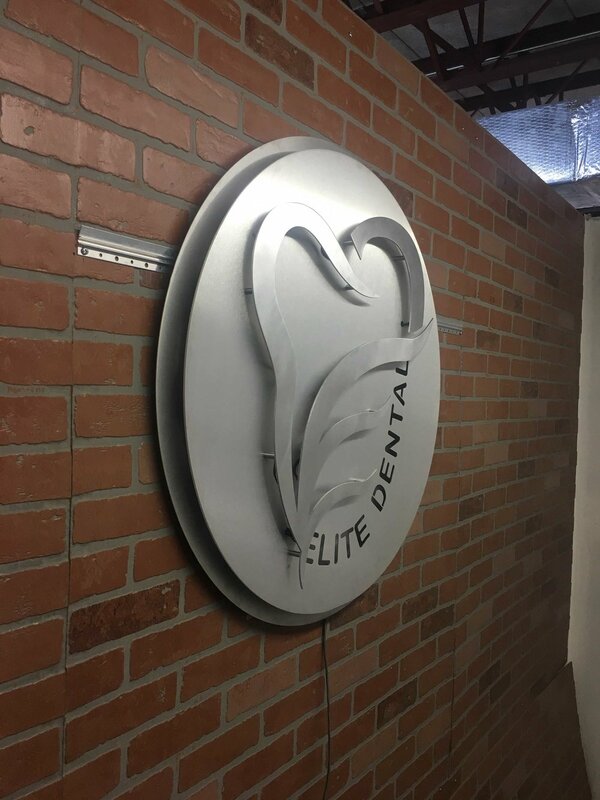 Uniquely Crafted Signs Will Have Your Patients Smiling When They Walk into your Dentist's office! 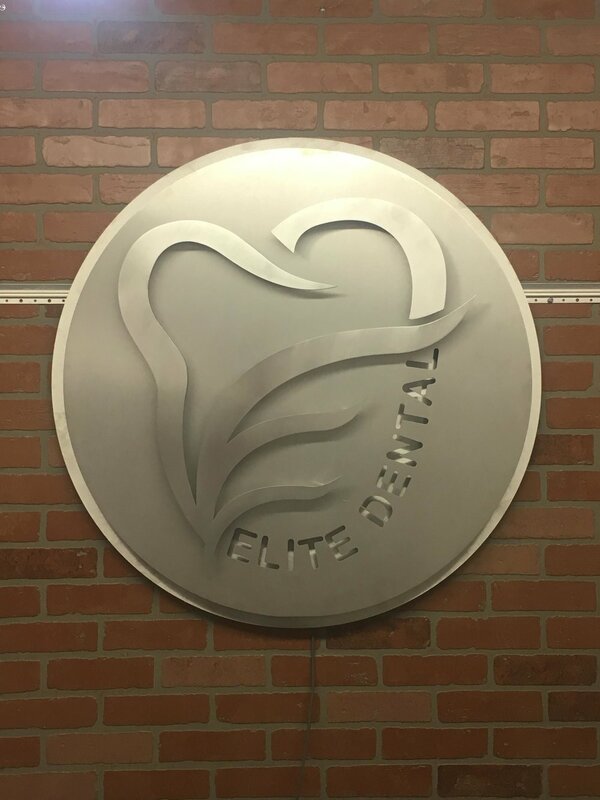 ShieldCo Art can help create your logo, design, idea into a unique, creative metal sign with back lighting to boldy display your logo in a customized dental office sign for your Dentist or Orthopedic office. 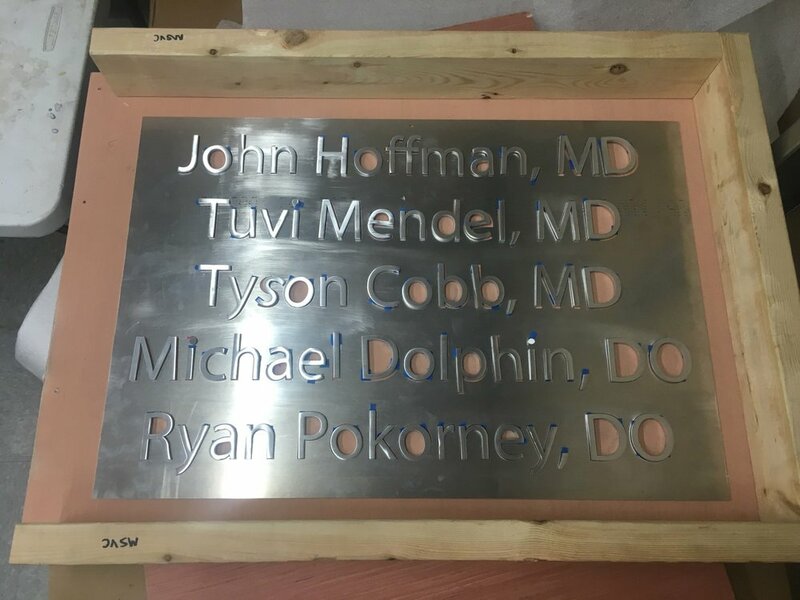 With ShieldCo, the custom sign possibilities are endless; here’s a few of different types of custom metal signs we've done for other dentistry and orthaepedic companies; take ideas from them and send it to us! 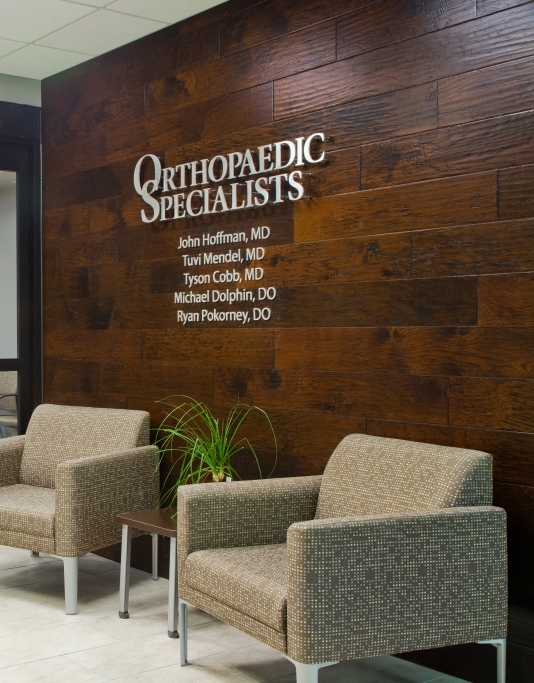 With an extremely custom sleek design, Orthopaedic Specialists bodly announces their top quality work. 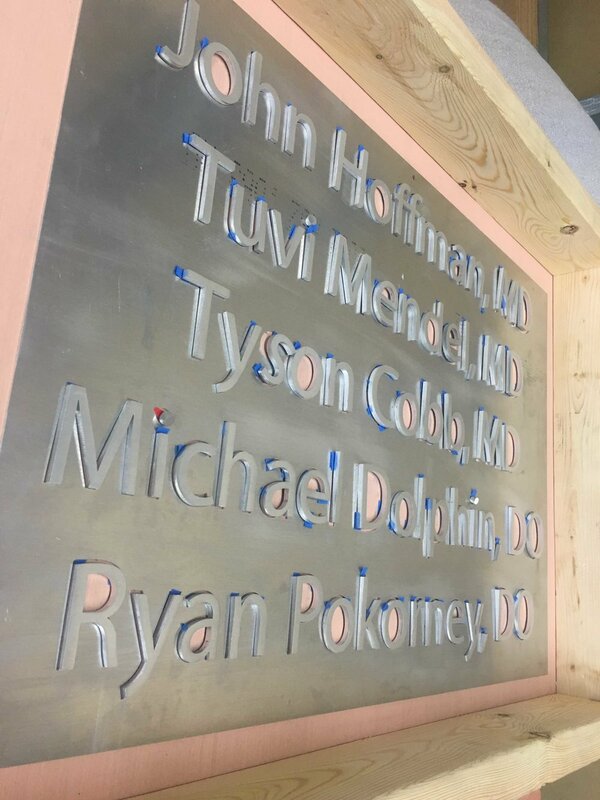 While the whole sign is attached directly to the wall, The "Orthopaedic Specialists" is set off the wall 1" while the names are flush with the wall. 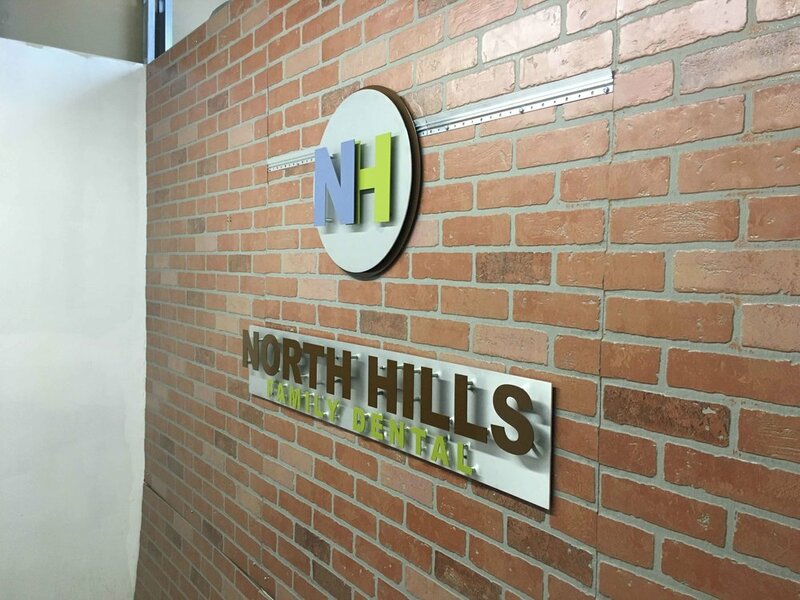 The color pallette on this design is extremely well balanced the calmness of the blue and green really accentuates the bold brown in "North Hills." They are located in Pittsburgh, PA and aspire to provide a gentle calm environment for all families. Learn more here! GKG Orthodontics, in Wexford, PA, offers the latest in corrective care technology for kids, teens, and adults. 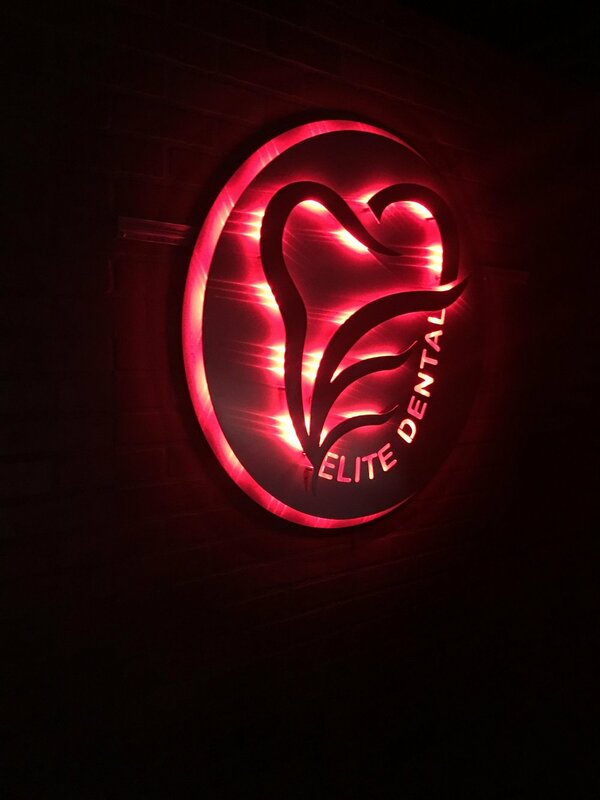 Their dental sign was extremely fun to design with all the different layers and lighting giving the sign some serious depth. 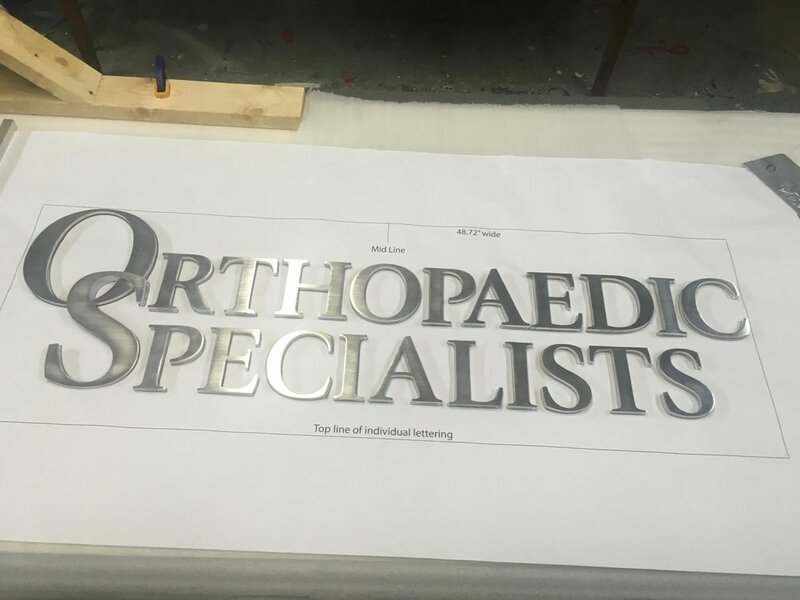 A five layer sign with cut outs for lights to shine through is a unique service offered by ShieldCo. Learn more about GKG here. 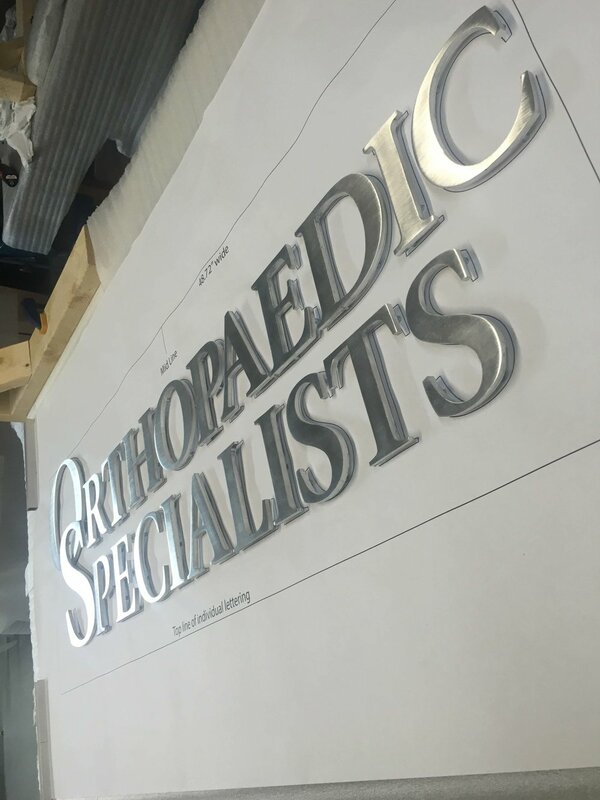 MOre of our Dental/Orthopedic signage!